With the passing of the W.D. and clear skies prevailing, cold wave conditions have engulfed the north, north-west and western India. Only the regions of north konkan are experiancing cold conditions, not the interiors of Maharashtra and areas around. The reason is clear from this streamline map of IMD. 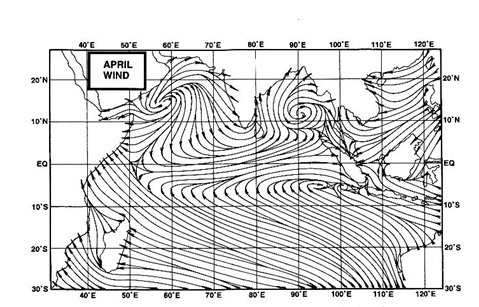 The northerly winds overIndia are restricted to these regions, and do not penetrate into Maharashtra. There the winds are "twirling " inwards, preventing the colder winds. Thus the cold is prevelent in Mumbai (12.9) and not in Pune (12) or Aurangabad (13). The last 2 places are above normal by 2-3c. Also, as the winds show severe cold in almost all of Pakistan. (Islamabad -1c, Nawabshah -2c and Karachi 7c). Anyway, another W.D. is on its way, and likely to be over north India by the 25th. Naturally the the rain areas to be covered will be north and northwest India. With the upper air trough still in place, I do not rule out another W.D. in the first week of Feb.